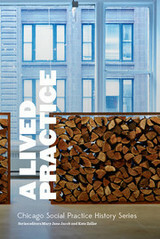 A Lived Practice examines the reciprocal relationship of art and life: Artist-practitioners are shaped by their experiences, and they in turn create and enhance the experience of others. Based on a symposium held at the School of the Art Institute of Chicago in 2014, this volume is intended to spur new thinking in the field of socially engaged art practice. Contributors, including Lewis Hyde, Ernesto Pujol, Crispin Sartwell, and Wolfgang Zumdick, address essential questions about what is art and who is the artist, and also explore how artists can lead meaningful lives. Talking to Action: Art, Pedagogy, and Activism in the Americas is the first publication to bring together scholarship, critical essays, and documentation of collaborative community-based art making by researchers from across the American hemisphere. 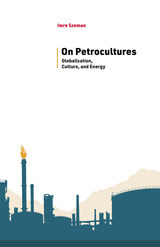 The comprehensive volume is a compendium of texts, analysis, and research documents from the Talking to Action research and exhibition platform, part of the Getty’s Pacific Standard Time: LA/LA initiative, a far-reaching and ambitious exploration of Latin American and Latino art in dialogue with Los Angeles. While the field of social practice has had an increasingly high profile within contemporary art discourse, this book documents artists who have been under-recognized because they do not show in traditional gallery or museum contexts and are often studied by specialists in other disciplines, particularly within the Latin American context. 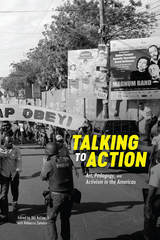 Talking to Action: Art, Pedagogy, and Activism in the Americas addresses the absence of a publication documenting scholarly exchange between research sites throughout the hemisphere and is intended for those interested in community-based practices operating within the intersection of art, activism, and the social sciences. 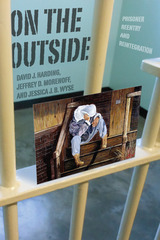 Socially engaged art, though its transformative practice, shapes the institutions that surround it. And in a city famous for both its physical and political structures, few creative communities are as deeply intertwined with a city’s framework than those in Chicago. This volume focuses on how artists and others have worked with, within, and sometimes in opposition to large Chicago institutions, such as public schools, universities, libraries, archives, museums, and other civic bodies. Drawing from a broad range of interdisciplinary sources, it explores the far-reaching effect of socially motivated art on urban life. 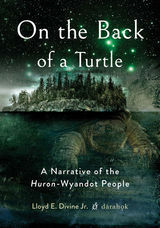 It grounds recent history within a longer arc of civic self-fashioning, from the Columbian Exposition of 1893 to Jane Addams's Hull House to John Dewey's legacy in arts education. The collection also examines the relationship between the city’s image and the types of artistic work that flourish within its boundaries and resonate far beyond them. 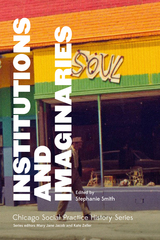 Institutions and Imaginaries is part of the new Chicago Social Practice History series, edited by Mary Jane Jacob and Kate Zeller in the Department of Exhibitions and Exhibition Studies at the School of the Art Institute of Chicago (SAIC). 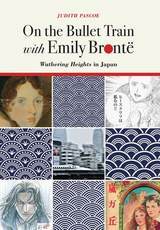 Much ink has been spilled on how art intersects with the experiences of everyday life. But what about art grappling with how to live differently? Artists occupy an exceptional space where their livelihood permeates all aspects of life, eroding boundaries between the personal, the professional, and the political. This raises a little-analyzed question: Beyond making a living, how are artists making life? Immersive Life Practices talks to Chicago-based artists and authors about life as an art practice and art as a life practice. The contributors explore a range of concerns, from how to be holistic, ethical, or practical; to how to balance life and work; to formal questions of how to represent a never-ending project. Some speak fondly of long-term collaborative relationships that sustain their work, while others place emphasis on the physical space in and outside the city as necessary to keep them grounded. 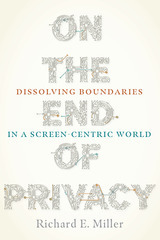 Engaging and honest, the essays and interviews in this collection will resonate with anyone working to create a life—and an art—worth living. 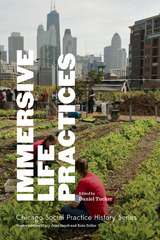 Immersive Life Practices is part of the new Chicago Social Practice History series, edited by Mary Jane Jacob and Kate Zeller in the Department of Exhibitions and Exhibition Studies at the School of the Art Institute of Chicago (SAIC). In 1968, Chicago made headlines for the ferocity of its police response to protesters at the Democratic National Convention, prompting outrage in the art world. Some artists pulled their shows from the city and called for a boycott until the mayor left office. But others responded artistically, creating new works and even full exhibitions in reaction to the political and social issues raised by the summer’s events. Despite the city's sometimes notorious political and social history, art practices that challenge authority have thrived in Chicago. 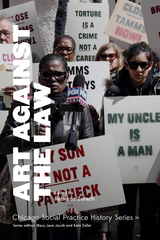 Art Against the Law examines the creative tactics of the city’s activist artists and their ways of addressing the broad definitions of the law—from responses to excessive policing to inequities in public policy. These include creative forms of protest, rebellion against the law through illegal art practices, and using the political system itself as an art medium to alter existing laws. The essays and conversations in this volume also address the boundaries between art and creative activism and question whether lines should be drawn at all. Through these texts and interviews, Art Against the Law proves that creative imagination can be formidable in challenging the status quo.